1. Choosing the right light? If the lights are primarily used to lighting our rooms, designers implement their know-how to develop useful items and trendy. 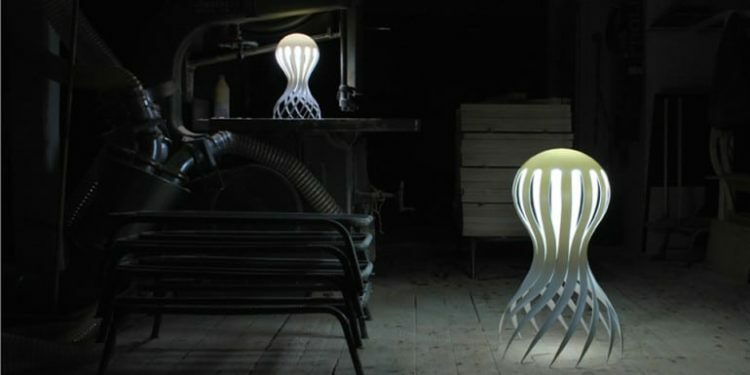 Now the light is “multifunctional” also to decorate our homes. Today, the luminaire is part of decorative elements to be considered in the interior and exterior. And on the subject, there is something for everyone and every purpose! 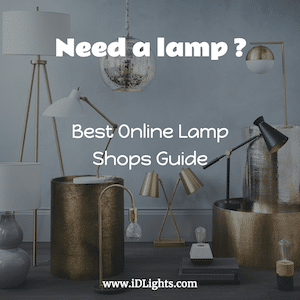 To help you find your way, iDLights offers clever and convenient shopping guide to make the right choice. It is often said that the living room is the heart of the house. A warm room where we meet with family or friends. The lighting here as important as the decor. Efforts to create a cocoon products should not be wasted by poor light. It is necessary to find the right balance between too much and not enough lighting. In general, the light must be strong enough to illuminate the entire room. Ideally, a halogen lamp with a dimmer. This system allows to easily and quickly make intimate. If one really wants to go for a lamp with shade, we make sure it is high enough to light most of the room. The dining room should not be overlooked. Suspension or shine, be sure to place a light source above the table. When it is screened, it will produce the same effect as that of candles. romantic atmosphere guaranteed! In addition and for visual comfort, accompany your floor lamp, suspension or luster, a direct source. Install a soft illuminating but enough not to strain your eyes when you are enjoying a read a book in the evening comfortably on the couch. A table lamp or a floor lamp XXL arched placed near the sofa, for instance. To highlight an old showcase inherited from his grandparents, one can also add on stem spots to attach to the top of the furniture. In recent years, the kitchen has gone from a functional piece to a friendly place for sharing and exchange. Open to the living room, with a table for lunch or dinner, it spends more and more time. The lighting helps to create a space in which to live. The first element to treat is general room lighting. Why is this so important? For the simple reason that if one has a nice kitchen, it should be highlighted. It is also a question of visual comfort. Disseminating a homogeneous light on either side of the part, one avoids the eyes excessive fatigue. It must illuminate the room without dazzling. kitchen pendant lighting like Suspension and ceiling is recommended for this kind of sustained and indirect lighting. The second step is directed lighting. It will serve to illuminate the different spaces where one kitchen. worktop, hob, sink … so many areas that need to come out of the dark. Rails spots, fixed or adjustable under a wall unit, allow to enjoy a beautiful light and thus reduce the risk of domestic accidents. This type of direct lighting gives a warm light. In itself, the best in this room. Another solution when you have a center workplace or a table in the kitchen, the row of aligned suspensions. Beyond the practical aspect, a trendy idea. Once the issue settled practice, place decorative kitchen pendant lighting. To sublimate parts of its cuisine, we can play with the sources. rod on the spots to be fixed on wall units allow to develop them while skirting boards with integrated spotlights do the same with the lower units and illuminate the ground. To illuminate the entire room, the lighting should be indirect. If the suspended ceiling is part of this type of lighting, overly bright lights are prohibited. So we choose a bulb warm light. We do not hesitate to equip a drive to change the atmosphere to individual desires. Suspension or ceiling is not suitable for reading, must be supplemented with a direct lighting. A table lamp on the bedside table, a lamp or wall mounted reading lamp to clip on the headboard, three perfect options for reading a book in bed at night without damaging and tired eyes. If you are one of those who spends hours in the morning to find their beloved shirt, sufficient lighting fault, know that there are solutions to illuminate the outside and inside his wardrobe or his wardrobe. As for senior kitchen furniture, one can opt for a showcase lighting set above them. Finally, if the cabinet is deep, it is possible to place spots within even your storage on the internal shelves. The majority of bathrooms don’t have a window so lighting should be particularly careful. The goal is to get a rendering as close as possible to that of daylight. As with other parts of the house, so you have to combine different types of sources. Sustained and indirect lighting for the entire room and direct to illuminate the “strategic” area that is the part located over the sink or basin. The bathroom is a room for relaxation, brightness should be relatively soft. First, place a lamp emitting diffuse light. If we find that the suspension is not adapted to the bathroom, you can always opt for a ceiling fixture. Warning, the result should not be too aggressive to the eye. So we prefer a yellow light and warm to cold white light to avoid being dazzled the morning upon waking. Once your choice is made, you have to think about lighting. The goal? Madame can see clearly when make-up, and sir, when he shaves. Several solutions are available to you. The more frequent the spots or ceiling. One can also opt for a backlit mirror with integrated LEDs judging the first option unattractive. It is often ignored, but instead of the spots is important. They can be placed above the mirror or on the sides, but beware! Too high, they accentuate dark circles, too low, they give bad mine. It also will favor the cold light produced by the LEDs closer to the outside light to that emitted by halogens. Finally, some vanity units already include lighting, halogen spot overall. It is thus not necessary to add a direct source. The market is full of lights of all kinds. To make a choice for your needs, it is necessary to know the specific features and characteristics. A brief overview. This type of fixture is directly fixed to the ceiling and allows a homogeneous diffusion of the light in a room. They come in all sizes and all weights. Be careful to ensure that your ceiling is strong enough to accommodate the suspension you want. Fixed to the walls, sconces are generally used in addition to the main lighting to create a warm and cozy lighting atmosphere. Different shapes and sizes are available commercially. The sconces can be used to finalize a decoration. Whether built-in, to fix or clip, the spots offer a multitude of interior design options as outside. Depending on the number of selected points of light, you can customize your lighting atmosphere by optimizing illumination over a limited area of your room, as over a worktop, table or library, for example. Arranged in a corner of a room, the floor lamps are a decorative element in itself. Mounted on a foot tall, floor has mostly an adjustment to the power of light. This allows you to choose the intensity of your lighting based on time of day. Practical and decorative, table lamps or desks lamps are used as alight source extra. They shed light on a specific area in the image of a night table or furniture. With designs and shapes as diverse and varied, these lamps provide additional character to your home. Lighting source from the ceiling-uniform illumination of a room completely Ideal for large rooms. A concentration of the light source on a specific area, it allows to makes a specific activity such as reading. Additional source, enhancement of a decoration or a specific object. Have you thought about the final result that you want in your room? Indeed, the luminaires can allow you to create a light atmosphere appropriate to the size of your room and your desires. But still have to invest in the right kind of product. Light distribution over a defined area. It is possible to attenuate light with louvers, that is to say of screens that hide the direct light. Light scattering up and down. The reflection of light is a ceiling or other surface. Warm colors create a warm and friendly atmosphere. They also have the effect of reducing the prospects and therefore, the size of the room. The yellow brings a cheerful atmosphere to your room while the orange color is more conducive to well-being. Cold colors are ideal for larger space because they create the illusion of a longer perspective mitigating various reliefs of a room. In a calm and serene atmosphere, you can choose a color from blue or green type. On a more solemn touch to your home, choose the purple. Note that this type of colors, misused, can give the impression of poor mine. Black is often used to play with contrasts. It should be used sparingly because it a darkened room. Nevertheless, there may be a link between shades of warm colors. White should also be selected by touch. If he brings a clear look at a decoration, it tires the eye and must be married with other colors. Light colors are used to soften the atmosphere. Dark colors can be used to create a cozy and intimate decor. To determine if your lighting is “eco” or not, just to observe how energy class it belongs. There are seven different categories ranging from the letter A to G. The letter A indicates that the product is very economical. This unit of measurement of low energy bulbs indicates how much light your lamp will emit. It is estimated that the fluorescent lamps have a life of between 4 000 and 15 000 hours while the halogen lamps show a lifetime of 2 000 to 4 000 hours. The LEDs are the world champions in the field with nearly 100 000 hours for white lights. The index defines the ability of a lamp do we distinguish all colors. The maximum value of IRC 100, which corresponds to daylight. IRC is mentioned on the lights with a three-digit code that brings IRC and color temperature. Only the first figure refers to the IRC. With this information, you will be able to see if your fixture has a light warm, cool or neutral. A lamp offers a temperature of said warm color when it is less than 3300 K. It is intermediate between 3300 K and 5300 K and cold when above. Your light will he sought daily, regularly or occasionally? Answering this question will help you know what kind of lighting you need to invest. Indeed, if you want to light a bedroom or a loft that is not used every day, an entry-level fixture will be more than enough. But if you plan to install it in a living room, better to focus on a quality fixture and choose the type of bulbs that will be most suitable. Check also our page “How to Choose the Right Lightbulb“. Incandescent bulbs: They must disappear due to energy saving. CFL or Compact Fluorescent Lamp: 5 times less energy than other ampoules, life: between 4 000 and 15 000 hours. LED or Light Emitting Diode: Bright light and directed, life 100 000 hours. When buying a luminaire, it is essential to check that it has the CE marking is the responsibility of the manufacturer. Besides its power and voltage, the class of the luminaire must be stated clearly. Class 1: Mandatory connection to a ground terminal. Class 2: The luminaire is equipped with double insulation at the socket and its connection domino on the sector. It does not benefit from grounding device. Class 3: There is a supply 12 to 24 volts on average. The fixture must be wired to a transformer causing a separation of the network. At the point of electrical contact, the electrical risk is up to 48 volts. Note that most of the major lighting brands sell standard equipment with electrical certificates of conformity by independent organisms. Interrupting the electric circuit during installation of a luminaire. If you change a bulb, wait until the lamp is cooled. Be careful not to put your fixture in contact with water. To clean a light fixture, use an anti-static cloth. Use low consumption bulbs to achieve energy savings. You thus will lighten your electricity bill! The power emitted by a light mainly depends on the choice of the bulb. The more watts will be higher and more powerful will be your lamp. Avoid placing a source at least 30 cm of a houseplant. Doing so may burn. Opt for compact fluorescent lamps produce less heat than halogen lamps. Very practical, the presence detector can trigger the light as soon as you enter a room. Attic, basement, garage … This type of equipment is very good for energy savings because it goes off when you leave the room. Outside, the presence detector is very valuable at night!